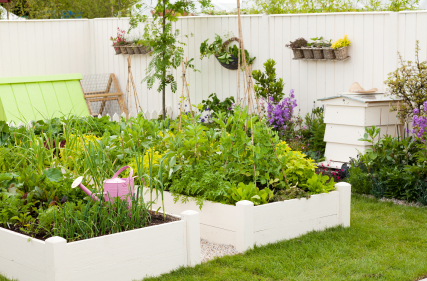 The ideal place to grow your organic garden is in a large back yard with plenty of space, however that is not realistic for many renters and homeowners. The good news is that with some creativity and resourcefulness you can build a plentiful organic garden in small outdoor or indoor spaces. One of the many benefits to having your own garden at home is that you can save money on your favorite fruits and vegetables, and you can reduce your carbon footprint by growing your own food. If you are wondering what the difference between a traditional outdoor garden, and an organic garden is, there are a few key differences. A traditional garden is created using fertilizers and pesticides that utilize harsh chemicals. However when you create an organic garden you will purchase or make chemical-free fertilizers and pesticides. Can You Make Your Own Fertilizer? While you can go to your local home improvement store and purchase organic fertilizer, you can create a compost pile at home and make your own fertilizer. You can buy composters, or make your own compost pile. You can create a compost pile by digging a compost pit in an unused area of your yard, and you can place a lid over the pit to reduce the sometimes undesirable aroma. Once your pit is dug you can put grass clippings, fruit and vegetable rinds, leaves, and egg shells into your compost pit. To ensure that decomposition occurs evenly stir your pit periodically. Can You Garden Even If You Don’t Have A Backyard? If you don’t have a backyard and would like to create an organic garden you can garden indoors in a south facing window, or on a balcony or porch. To garden in unconventional spaces you can use hanging basket, large pots and planters, and planter boxes. While you can garden in alternative containers, you will be limited to the types of fruits and vegetables you can grow. While you are limited you can still grow things in small containers such as herbs, tomatoes, potatoes, strawberries, carrots, green beans, lettuce, and a variety of flowers. All of these options are fairly low maintenance and need only plenty of sunlight and water. To further maximize your limited gardening space you can implement square foot gardening, in which you measure the exact amount of your space and construct a wooden planter box that dominates the space. You then fill your custom made planter box with soil where you can grow your favorite fruits, vegetables, and flowers. 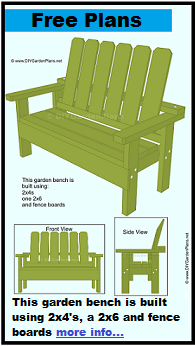 Also look for planter boxes and baskets that can hang from the roof of your balcony or porch. Regardless of the size of your home garden, composting is a vital part in ensuring your produce is nutrient rich and grows to its full potential. If you have a space that does not have a yard in which you can dig a compost pit, you can place a compost bin in the corner of your balcony or on a cement walkway.